Successfully Added Flexible Bluetooth Headset - Sports + Leisure to your Shopping Cart. 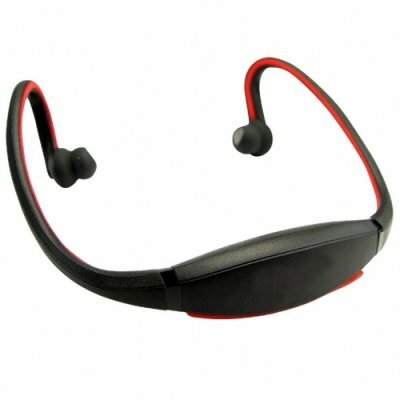 Flexible water resistant Bluetooth headset for sports or leisure. Who says Bluetooth headsets aren't comfortable? This unique Bluetooth headset not only looks great, but it's so comfortable you'll forget you're wearing it! Whether you're at the office or working out, this headset will always deliver the comfort, style and performance you need. This great product sports a flexible and water resistance design making it perfect for virtually any type of recreational activity. By doing a simple pairing with your Bluetooth capable cell phone, smart phone or PDA, you will be ready for an active day ahead and have easy access to all your calls. In addition, you can also easily pair it with a Bluetooth capable laptop/notebook computer, so feel free to wear it to talk on Skype all night. Another great everyday product that's sure to be a hot seller. Order your personal sample now, and then order in bulk for big discounts that will allow you the fat re-sale margins you deserve. Bluetooth flexible headset for sports and leisure. Comfortable design with in ear buds for the perfect personal fit. I've bought this product. Fast shipping and great product. Works perfectly with my handy and with all the notebooks that I've. Also the quality of the material is ok! I'll buy again products from you! Very good quality and perfect communication with chinavasion team too even with a customer at the other end of the world!! Great headset, stylish, lightweight however unfortunately does not work with Iphone 3GS. Tested with laptops etc all works fine.